When real estate lawyer Jimmy Crawford started looking into a vacation home two years ago for his family, the foreign investment had to meet several criteria to be considered. Most importantly, the destination had to be English speaking by nature and located in a stable environment. The tropical place also had to have a similar legal system and be within close proximity to Crawford’s Orlando-area home. Being relatively affordable would be a bonus. Belize, as it turns out, fit the bill perfectly. 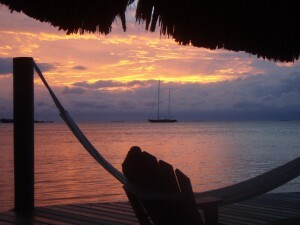 For those not familiar with Belize, contrary to what many people think, this Central American nation is not an island. Actually, the democratic country formerly known as British Honduras is landlocked alongside the Caribbean Sea by Mexico to the north and Guatemala to the south and west. Whether anybody can properly place Belize on the map or not, one thing clear about this ex-British colony is it is quickly becoming one of the Caribbean’s up-and-coming destinations. Crawford, who owns a 1,700-square-foot luxury condo in the fishing village of Placencia, has been in love with Belize ever since he first visited the pristine Caribbean country. And what’s not to love about a country full of untouched waterfalls and rainforest jungles and Mayan mountains full of historic ruins. Or a country considered one of the top ten diving destinations in the world courtesy of a coral barrier reef second only in size to Australia’s Great Barrier Reef. Belize is also a “very safe country,” despite its testy Central American location, according to Crawford and numerous other expatriates who have visited the place. Basically, whether it’s hiking, horseback riding, fishing, swimming, or simple relaxation, Belize satisfies the entire family, according to Crawford. That’s precisely how a lot of well-traveled adults are starting to feel about this pristine place that cost a fraction of the price of comparable Caribbean destinations. Perhaps that’s why Belize is quietly attracting the celebrity crowd, including the likes of Leonardo di Caprio and Francis Ford Coppola, who are involved in a couple resort-related projects. Meanwhile, over on Ambergris Caye, the most developed of Belize’s 100-plus islands, “Temptation Island” has showcased the country as the backdrop to its popular television show. Of course, fueling a lot of the foreign investment and tourism growth in Belize – a country the size of Massachusetts — is its pro-Western roots. For instance, Belize has been a democratically elected country since 1980, pegs its currency to the U.S. dollar, features a mostly tax-free environment and offers London as its court of that after last resort, according to Crawford. One group bullish about the long-term future of Belize is Hopkins Bay Development, a consortium of Canadian, American and South African investors behind the eponymously named Hopkins Bay Resort. Located two hours north of the town of Hopkins, Hopkins Bay is an ambitious 7,000-acre eco-sensitive mixed development planned for nearly three miles of linear beachfront, four branded hotels, three golf courses and an 800-slip marina, among other amenities, according to Michael Anderson of Glacier Lake Management Company. For now, Anderson is focused on Hopkins Bay Resort and Sittee Point, a 48-acre enclave of resort-style villas now open and a gated luxury single-family home community, respectively. According to Anderson, Glacier Lake’s vice president of operations, 18 villas are completed and occupied at Hopkins Bay Resort with another 30 under construction; four homes are finished in the upscale Sittee Point neighborhood. One of Anderson’s Canadian friends is building a 12,000-square-foot home at Hopkins Bay, where some three-bedroom villas can cost around $800,000. “Belize is an emerging hot spot,” says Anderson, whose Hopkins Bay project is conforming to Audubon International sustainable development standards. “It’s got the second largest reef in the world and we’re just a half mile from the reef. You can be in the mountains or rainforest in the morning, then go snorkeling or fishing in the afternoon. It’s all that close. That’s precisely how Crawford feels about his many journeys to eco-based Belize. It’s a lifestyle that more and more people are bound to begin appreciating. Until Belize begins investing in more infrastructure throughout the country, however, don’t expect this destination to look anything like Cancun – the Mexican tourist mecca approximately 350 miles to the north. Crawford is counting on that. Great to hear from you and thanks for the nice feedback. Love to do a Kubly piece someday if still working with him.